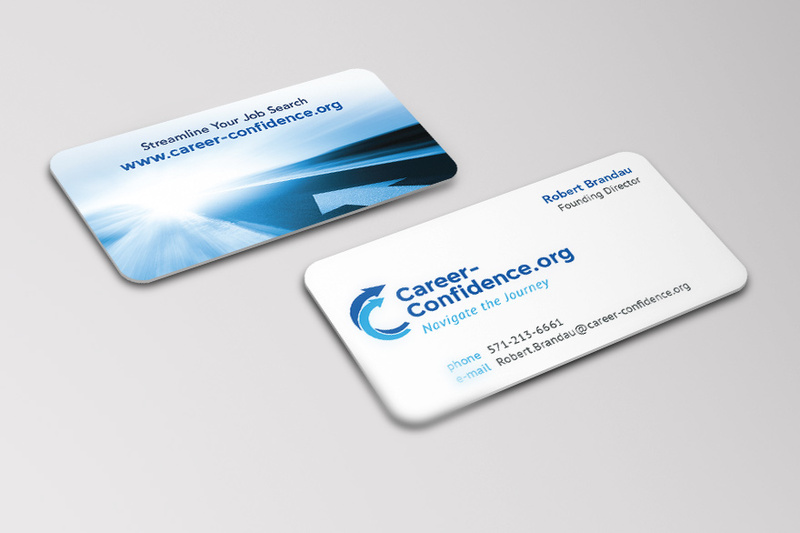 Career-Confidence.org is an organization dedicated to providing free and expert job search skills, education, and encouragement while expressing Christian compassion. This logo was chosen to reflect the way the volunteers come alongside job searchers with personalized support for their journey. 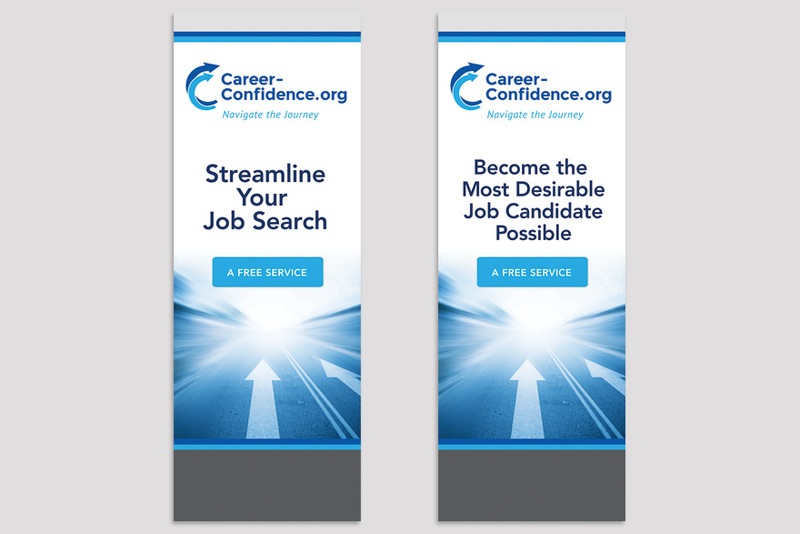 Business cards, banners and a tablecloth were strategically designed to compete for attention at job fairs.